> > run a highly optimized binary which was compiled once with optimal settings on fast hardware? > process will happen only during installation and updates, not at every run. Install-time compilation would be far better than using a JIT indeed. But you still may not have enough memory/performance for link-time whole program optimization with profile feedback. > > Cache locality is certainly important, but GC doesn't solve that - in reality it actually makes it worse. > Well... Cache locality improvements with GC is measurable... No need to discuss. Rubbish. GC is memory inefficient by definition, so claiming it is better for locality is just wishful thinking. Compacting GC's typically need 2-3 times more memory than a non-compacting GC, so are worse on average. Also the much higher memory allocation rate and resulting collections are bad for locality. > > for long periods. Concurrent GC has even larger overheads. It stops threads for shorter periods but stops them more often, so takes far longer overall. And then we haven't considered the far higher overheads on the generated code. > and heap is compacted periodically, in the end, often it is a win. > > Then there is the optimization overhead and extra tables causing code bloat. 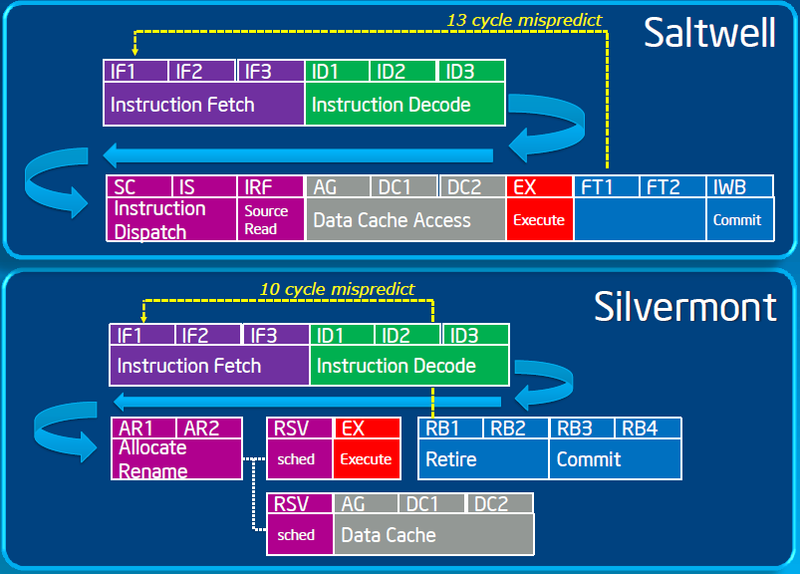 > And C++ allocators waste space to avoid memory fragmentation... But doing so also hits locality. No, no space is wasted, unlike GC which requires descriptors for every object. > overflow check on Java, on C# it is optional but disabled by default. > provides a fast way of overflow checks, MIPS being a notable exception. Instructions that can trap are bad. That's why you see modern FPUs implement IEEE so you never need traps, not even for denormals. > compiler is able to optimize it away and when not, last part of the post. > is no check at all since it will raise an exception anyway in the case of a null pointer. > by them, just put the check where it is needed to keep the correct order. Since when is a memory access cheap? Every unnecesary instruction has a cost. > > multithreading support etc etc. > How exactly this lowers performance? The barriers and other checks for concurrent GC or multithreaded access to fields are not exactly zero-cost and block many optimizations. > > It's not like languages like Java or C# are new. > New or not doesn't matter, B is older than C++ but didn't have as much effort as C++ on building compilers. By your logic, C++ would be much slower than C as C++ is quite new. Clearly that's not the case - and the simple reason is that much of what goes on inside is unrelated to the source language or the target. > GCC and compare to the ones used in SpecCPU (ICC, PGI, Open64 and SunStudio). > (of course, other than SpecCPU) it outperforms the others. > try comparing they performance there to something else. Not sure what your point is here. Yes VC++ does extremely well as it is optimized to do well on the millions of lines of code that people actually write (such as Windows and its apps) - as opposed to showing huge gains on a few small benchmarks. > > disabled or turned extremely conservative as an exception or GC may occur at any time. Wrong. Exceptions can only happen explicitly with throw in C++. > more strict about ordering, and it is not obvious weak ordering improves performance by that much. The problem is not just the ordering, but the fact that more operations can cause exceptions. That alone creates a lot of overhead as you need to model flows from every possible exception to all possible exception handlers. Local variable values need to be preserved for example, severely limiting optimizations. > array bound checks, it is not something I would left behind even if performance was a big concern. The performance cost is high if you happen to use arrays a lot. Even if you think it is worth it, and ignore the overhead as small enough, many of such costs add up to something quite large.